Capitalism Lab constantly improves with new features, better AI and replayability. As the owner of Capitalism Lab, you are always entitled to free updates to the latest versions. Experience the new improvements right now. It only take a few minutes to download and install the new version. 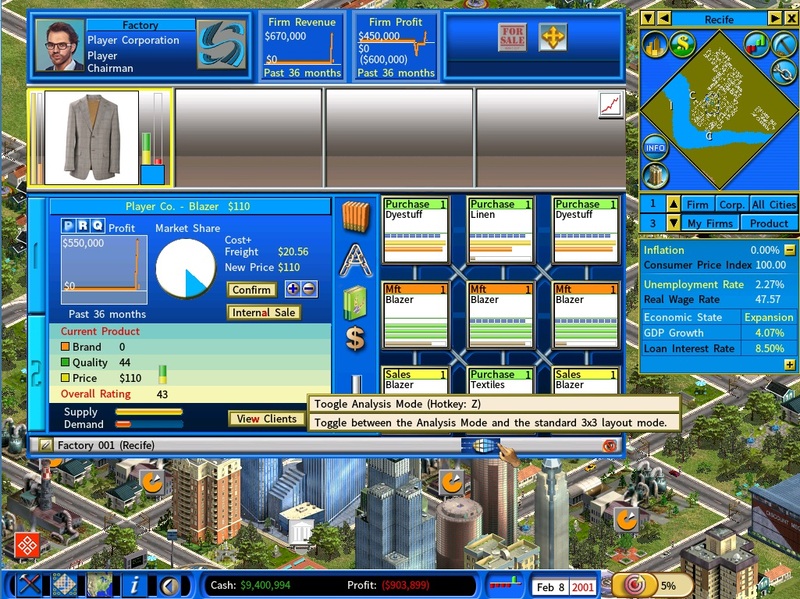 The Analysis Mode serves as an alternative to the standard 3×3 layout mode for factories. It allows you to manage your factories in a much more streamlined way, spending less time on micromanagement and yielding better results. You could easily switch between the two modes by clicking on the button as shown in the following screenshot. You may switch back to the standard 3×3 layout mode anytime you wish, so you could have the best of both worlds. When you have switched to the Analysis Mode, you could use the new interface for viewing the details of the finished products and the input items with all the important information consolidated on the same screen. 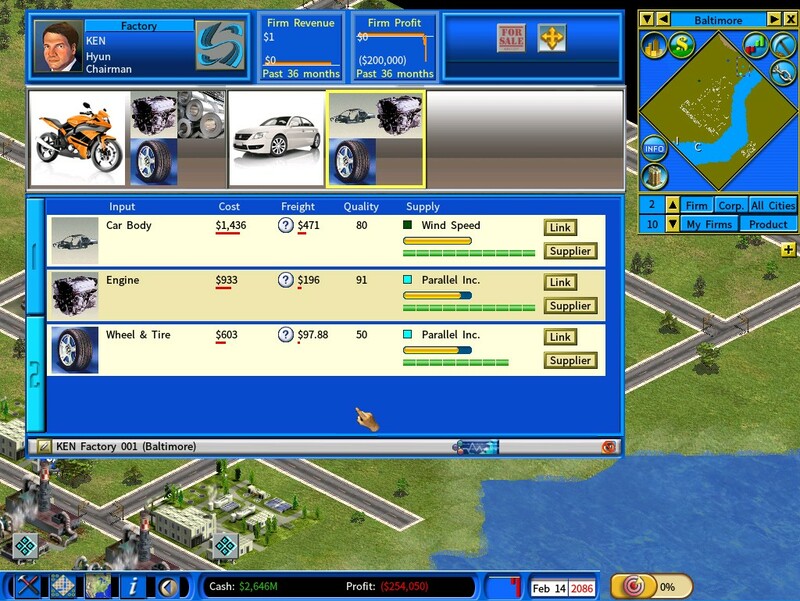 Select a finished product at the upper area of the screen and you will see a clear picture of the key factors that contribute to the final quality of the product (the aggregated input item quality rating and your tech level), without having to click on individual units from the 3×3 layout. Select a group of input items at the upper area of the screen to see a summary of the input items, including their costs and freight charges, quality ratings, stock levels and supply and demand situations. Again, the information presented here is much more streamlined than the traditional 3×3 layout. Here you could change the supplier of an input item effortlessly. 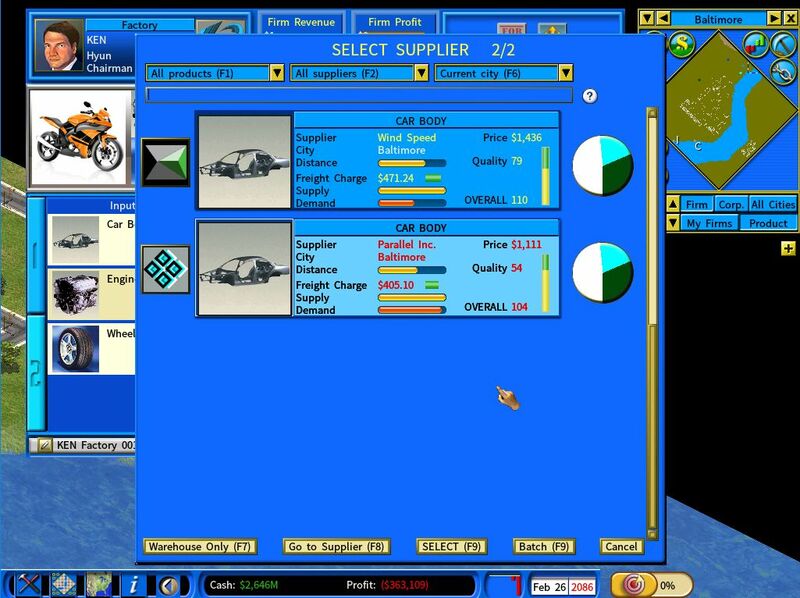 Simply click the [Link] button, the game will show only those suppliers that currently offer that specific input item. It is a much more user friendly way for selecting suppliers than using the 3×3 UI. Added the ability to buy land plots from AI companies. Select [Buy Land] from the menu, then select [Offer] (the last option on the Buy Land menu). It is now easier to locate your subsidiaries. Your subsidiaries are always positioned at the top of the corporation filter list and highlighted in yellow. The default method for setting rental prices for apartments and commercial buildings is now the market rate method. Improved previews for Retail Stores and R&D centers. The retail store preview now displays products from all floors of the retail store and the R&D center preview now shows the progress of the ongoing R&D projects. Game optimization that leads to overall performance improvements. AI improvements. The City Economic Simulation DLC lets you build new cities from scratch and play the role of mayor while simultaneously growing your business empire! 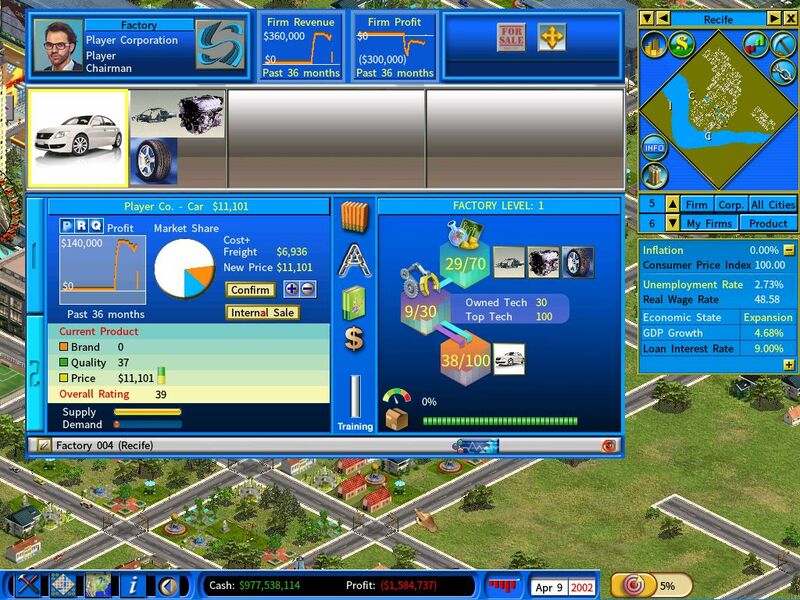 The RealWorld MOD is the most popular MOD for Capitalism Lab with a huge amount of new content. It has added more than 800 new products and customized product images to the game, offering refreshingly new gameplay experiences even to skilled players of Capitalism Lab.